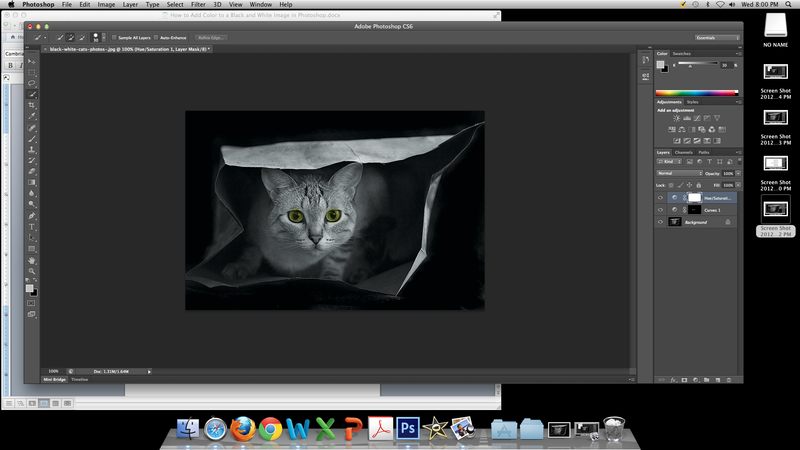 How to Add Color to a Black and White Image in Photoshop! 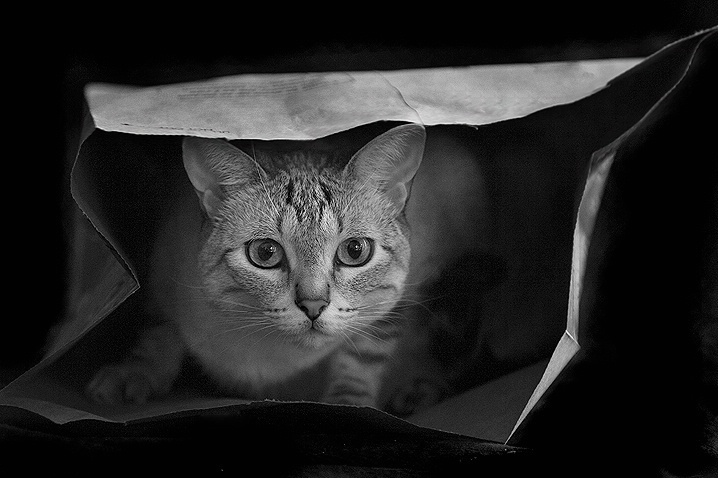 This cat is certainly cute even in black and white, but I’d like to give this kitty some vibrant eyes. 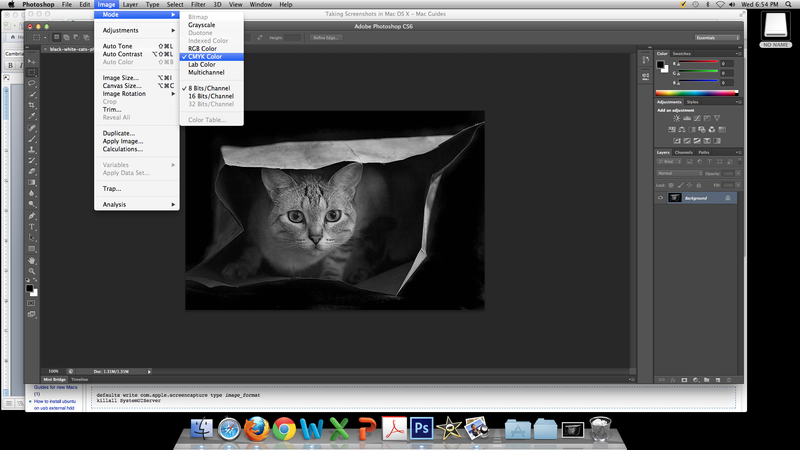 After picking your favorite black and white photo, save it to a flash drive or to your computer, and in Photoshop, navigate to File > Open and select your photo from where you saved it. Next, we must create a selection of a color that doesn’t exist. For areas of similar hues, the Quick Selection Tool can be used. Otherwise, the Lasso Tool may work better in selecting more detailed areas. I zoomed in a little by going to View > Zoom in. 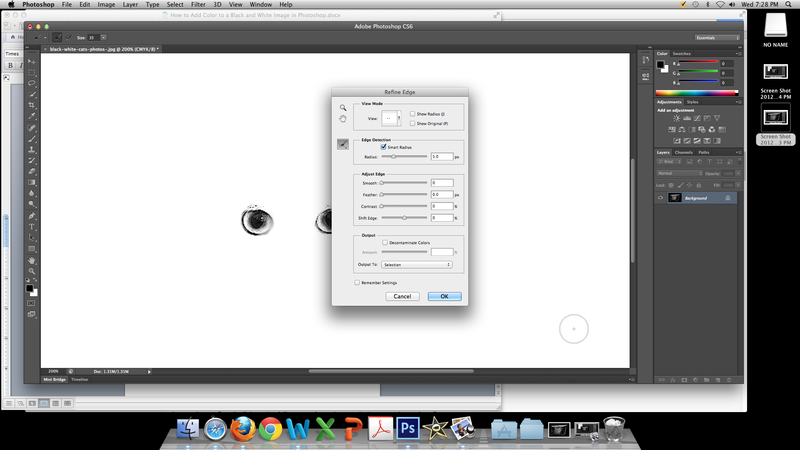 Then, I used the Quick Selection tool on the left side toolbar to select the eyes of the cat. Once you’ve made your selection, navigate under the Select menu, and choose the Refine Edge feature. This will refine your selection to go in-between small spaces that are difficult to get to. Mark off the check box labeled ‘Smart Radius’ and change your radius as necessary. (I changed mine to 5.0 pixels). Okay, It’s time to add color! Next, a good idea would be to apply a Hue/Saturation Adjustment Layer to help sharpen your colors. Again, under the Layers Panel, click on the Adjustment Layer icon but this time select Hue/Saturation. Try increasing the Saturation slider. 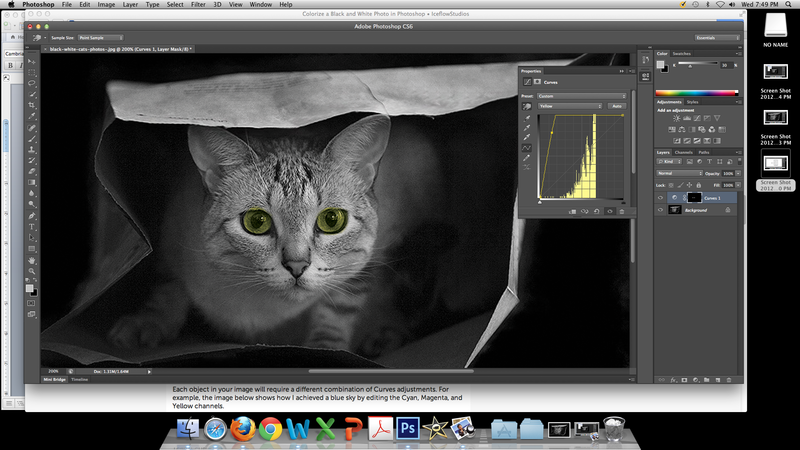 This is just a simple example of how to make your black and white photos come to life. I hope you can make use of this neat feature! ~ by kmb221 on September 26, 2012.